New Delhi : Well revered for its quality, and a leading name in the Fabric and Apparel Industry, GRADO from the House of OCM is all set to take the temperature a notch up with their exclusive collection of wool & wool blended fabrics, which create stunning blazers for all, this winter. Given the diverse variety to choose from, each fabric offers the essential combination of comfort and style! GRADO from the House of OCM is known for its warm blends in various patterns and designs which produce a show-stopper blazer. The worsted blazer should be part of any winter wardrobe – it is incredibly versatile, and can be worn to an office meeting, a dinner party or to social gatherings. Fabrics for blazers are widely available in different and unique colors like Desert Maroon, Dusky Black, Blonde Yellow, Bronze Browns, Ultra Marine blues, Copper Brown, Blue-Green, Camel Yellow, Graphite Grey, Snowy Frosted whites which are universally known to be fashion forward colours. Premium Flannel & Tweeds – Inspired by the royals, these fabrics are known for their gold standard and available in various colours and designs. Made with fine counts of yarns (38NM) and weft insertion keep you warm and cosy in winters. The single ply yarn (18NM) is perfect for jacketing. Debonair - The design pattern covers Madras checks, Tartan plaids, Pin checks, Graph checks, and micro/ macro structure patterns .Made with fine wool (20.5 µ), the contribution of softness is due to its feel/finish, which makes its perfect for jacketing. Déjà-Vu- With a play of checks and colors, this range has outstanding designs for premium jacketing. This range surpasses all the expectations of comfortable jacketing wear. The milled finish with a Super 100s wool gives it a rich feel and the design patterns and color palette justify its true beauty. Windsor- Fine blends of designs and geometric patterns. In wool & polyester blends,this range encompasses designs like tatter stall, windowpanes, houndstooth, Pinstripes, and geometrical patterns. Zodiac- A marriage of astrological colors and micro/ macro structured patterns. Apart from respective zodiac colours, the designs are in micro/macro patterns. And there are many more too. Speaking about its diverse range, Amar Sukhwal, Head of Design, OCM, said “Innovating with blends, patterns and colors is our prime focus. We’re constantly in sync with global trends and gathering consumer insights whilst correlating that data with on-ground customer purchases. That’s why our collection, every season, is so extensive! Since this is the best time to flaunt tweed blazers, the top seasonal blends we have for Blazers are pure wool Tweeds for Winters, Light wools blended with linen/silk for Summers as well as Wool & Wool blended fabrics particularly for ceremonial wear such as bandhgalas or sleeveless blazers. This Winter, if you are looking to make a fashion statement whilst being absolutely at ease, fret not because that is exactly what GRADO from the House of OCM promises – comfort, style, variety and keeping the cold at bay. GRADO is a new-age brand from the House of OCM. 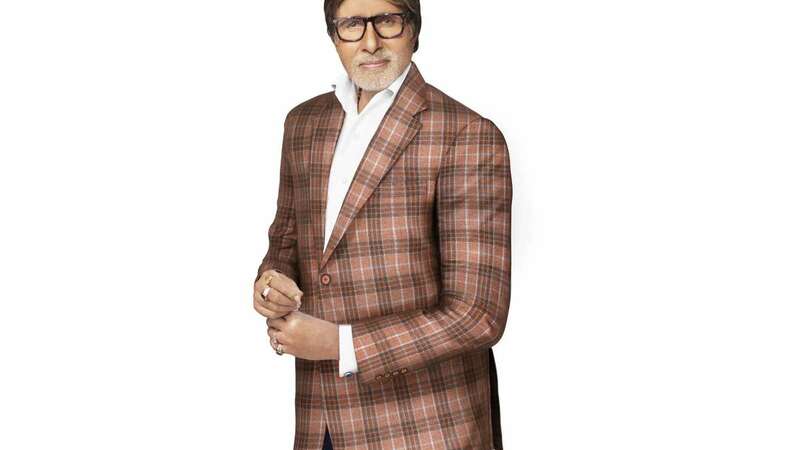 With the star wattage of the greatest celebrity of Indian cinema, Mr. Amitabh Bachchan as the Brand Ambassador, Brand ‘GRADO’ is all set to usher in a successful new wave in the ‘Luxury Fabrics & Apparels’ industry. GRADO caters to maximum product segments and across a range of price points; so there is something for everyone. The product positioning and price points will play an important role to increase potential for the trade - to cater to different product segments and different end-customers – thereby, increasing not only the retail width, but enriching the consumer consideration set. From an end-consumer viewpoint, the composite Power Brand ‘GRADO’ offers a rich repository of fabrics and apparels to choose from, namely, Wool, Wool blends, PV, PV blends, Cotton and Cotton blends.